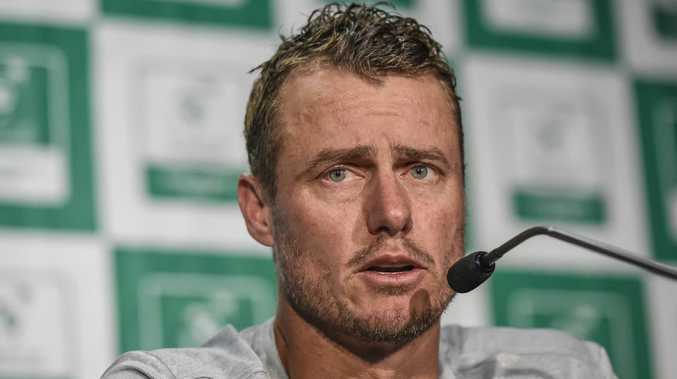 AUSTRALIA'S Davis Cup captain Lleyton Hewitt has savaged the new tournament format just days before Australia play a qualifying tie against Bosnia and Herzegovina. The two-time grand slam winner and one-time Davis Cup champion took aim at the Spanish group, now running the ITF event, headed by Barcelona great Gerard Pique, questioning what right a soccer great has to run and seemingly ruin one of tennis's greatest traditions. With the new Davis Cup format the traditional home-and-away ties have been put on the scrapheap with a 12-team finals to be held in Madrid, in November. Hewitt did not mince his words when asked what he thought about the new format. "I don't agree at all with it. Having the finals in one place is ridiculous," Hewitt said on Tuesday. "I personally don't think all the top players will play but we will wait and see. "If you look at Davis Cup the last couple of years the elite players are playing. "The quarter-final last year between Germany and Spain - Nadal was playing - and I have played in massive ties at home and away but for me the most disappointing thing is guys like these - Bolty and Alex - (Alex Bolt and Alex de Minaur) will never get to play a Davis Cup final in Australia and that was one of the biggest joys I had in my career." That win, Australia's last in the team event came in 2003 when Australia beat Spain 3-1 on grass at Rod Laver Arena and Hewitt beat Juan Carlos Ferrero in the opening rubber. After slamming the notion of tinkering with a format that wasn't broken, Hewitt turned his attention to Pique, and his Kosmos Group, accusing him of having no idea about tennis. "Personally I think they will have to tweak the new format," Hewitt said. "They have gone from one end of the spectrum to the other and they are going to have to deal with it. "Now we are getting run by a Spanish football player and he knows nothing about tennis and that is ridiculous. "He (Pique) is trying to (put tennis into a soccer format). His group has bought into the ITF and they are basically running the ITF - a soccer league is the main sponsor of the Davis Cup, and that to me is mind boggling." 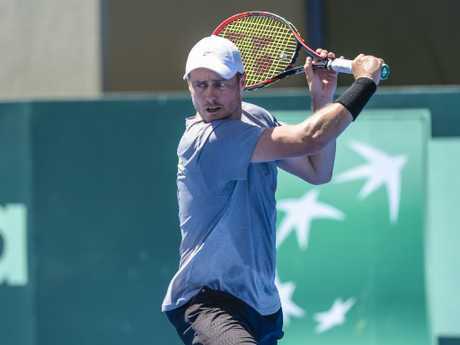 In a subject that has been brewing since the Australian Open, Hewitt would not rule out ever returning to the Davis Cup fold as a player for Australia, despite Bernard Tomic's calls for him to do so. What he did say was that Nick Kyrgios, who was omitted from the current squad when it was announced - over behavioural standards - knew what he had to do to get back into the squad. "He knows why he is not (in the squad)," Hewitt said. "We have sat down and spoken about it, he has still got to meet the standards. He knows what he has to do." 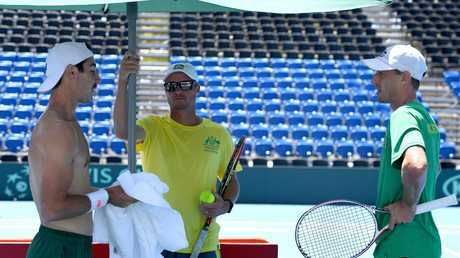 For Australia to make it to the finals they first have to beat Bosnia and Herzegovina, who will be led by Damir Dzumhur and Hewitt was wary of the challenge they present for Australia. "Two of the guys are very quality players," he said. "Damir has had some very good wins and has been just outside 30 in the world for a while now. And (Mirza) Basic won a title last year on tour as well." Australia take on Bosnia and Herzegovina at Adelaide's Memorial Drive from Friday.